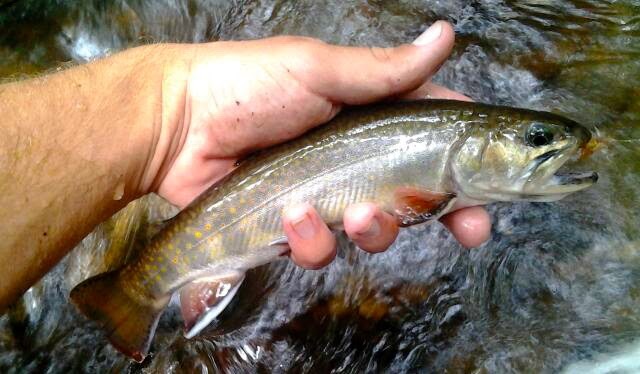 I fished a favorite brook trout stream of mine Friday and it was just about as perfect a day one could have. The air temperature was excellent for a late July day and the water levels were great for the summertime after this latest stint of rainy weather. 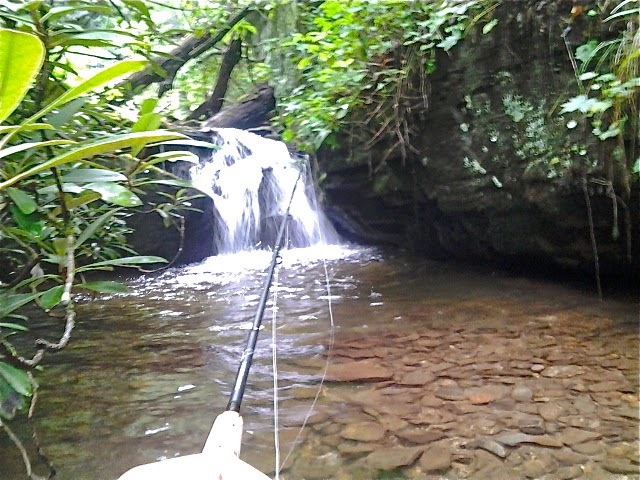 This particular stream is not too far from Unicoi Outfitters but doesn't get a ton of angling pressure, at least where I fish it. Further downstream it gets a some angling pressure and the fish are a little spooky. 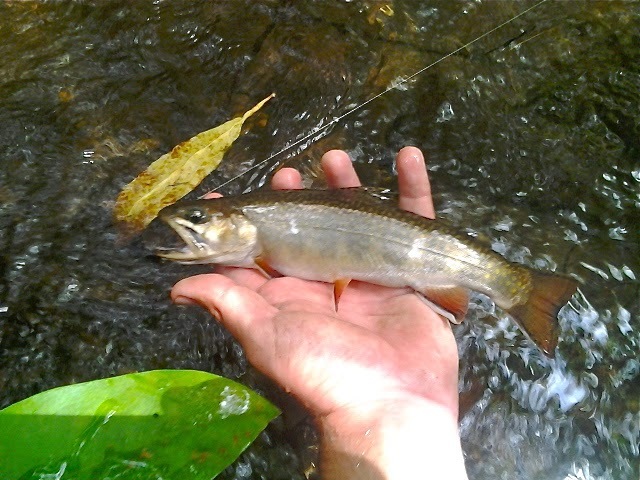 I walked a couple miles past where 95% of the other anglers stop before I even hopped in the stream. After a series of large cascades the stream hosts exclusively brook trout, many of which are quite healthy in size but more on that in a bit. I started out with my favorite summertime small stream combo, a big buggy dry fly (size 14 yellow stimulator) with a smaller buggy nymph below it (tungsten bead soft hackle hares ear) dropped off about 2-3 feet depending on the depth of the water. I normally stick with a shorter 7-8 foot fly rod for small stream fly fishing but I broke my change of pace and tried my 10 foot 4 wt. I shortened my leader down to just 6 ft of straight 5x mono tied off of my fly line's perfection loop and "Dappled." 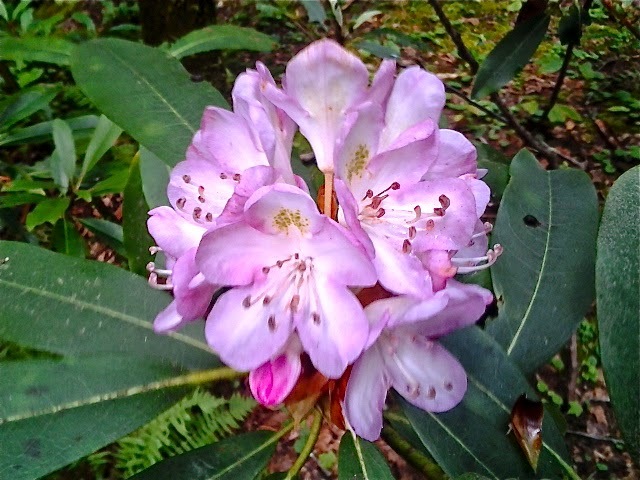 Dappling, or "dapping" as some call it, if you are unaware is a fancy term the old timers use for using a longer rod and just dropping your flies in likely holding spots and keeping the rod high and ready for the anticipation of a fast strike from a wily wild trout. The technique worked wonderfully everywhere I tried it, even in very tight cover so long as I didn't get crazy on the hookset. So how was the fishing? It was epic by every definition. I caught a lot of brook trout. But more importantly, many of the fish were 7+ inches and quite a few were larger than 9 inches, which is a whopper on most brook trout streams. This stream has always had a slightly better than average population of larger fish but this was the best trip I've ever had here and this can only bode well for the overall health of our wild trout in North Georgia. I have to admit that I neglected them this spring pursuing larger warmwater fish but I'm starting to get a bit of the itch back for our salmonid friends!